Lemax Christmas Tree Figurine depicts a decorated real Christmas tree in situ outdoors, with snow covering the ground beneath. This Lemax Christmas Tree figurine with star mounted on top brings seasonal cheer to a Christmas themed scene in a Lemax village display. An old Lemax favourite miniature addition which has been part of the collection since arrival in 2005. 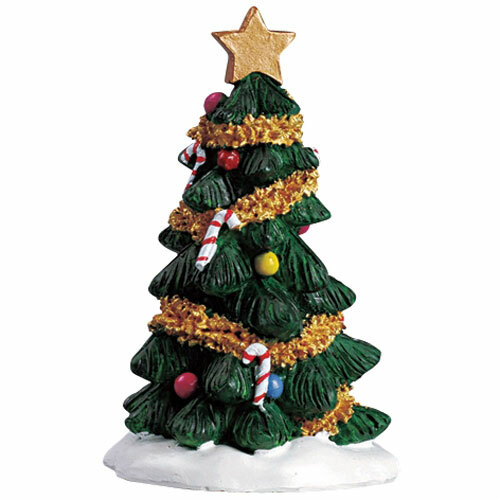 Christmas Tree is a single individual hand painted polyresin scenic piece mounted on a single snowed base to compliment your seasonal Lemax Village.